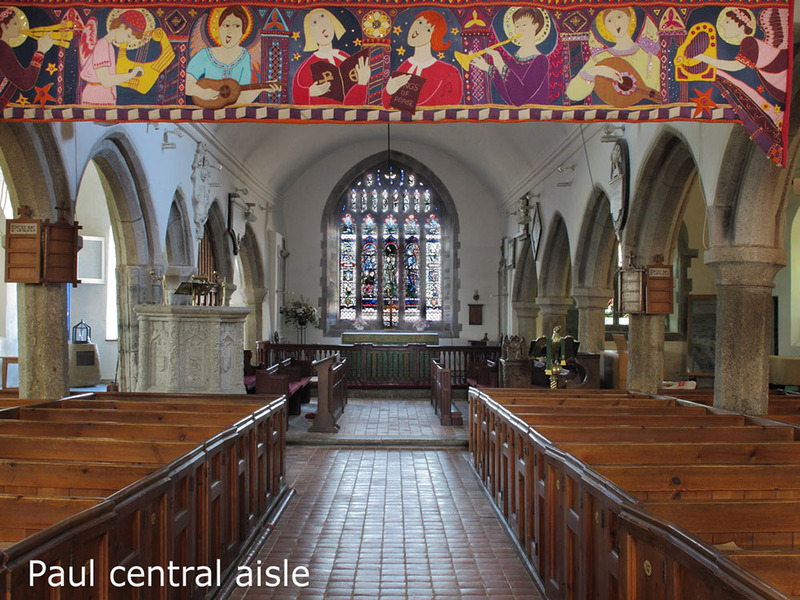 The church in Paul village has at least 3 contenders for its dedication which was first noted in 1259. 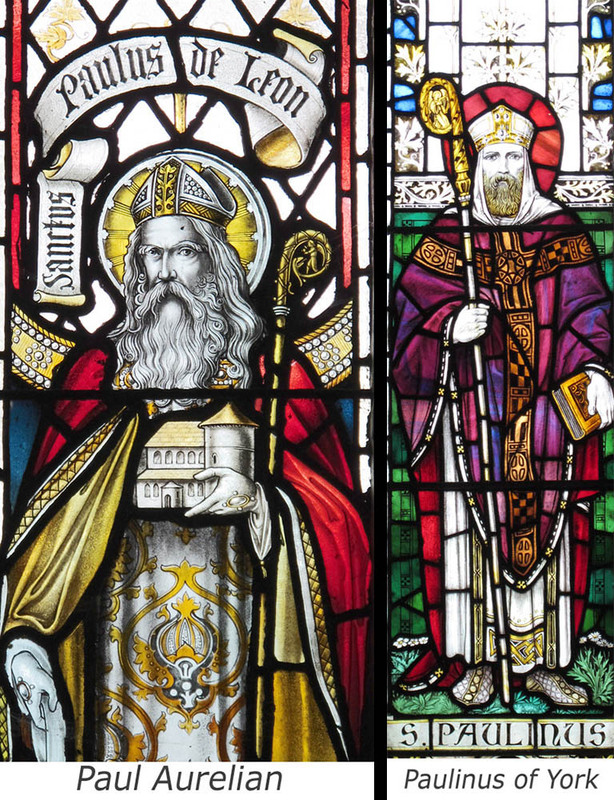 These include Paulinus of York, Paul Aurelian, or St Paul the Apostle. St Pol de Leon (Paul Aurelian) was not mentioned until 1907 and previously the church was simply dedicated to St Paul. The feast day in October celebrated by the church is that of St Paulinus of York, not that of Paul Aurelian, which actually falls on March 12th. 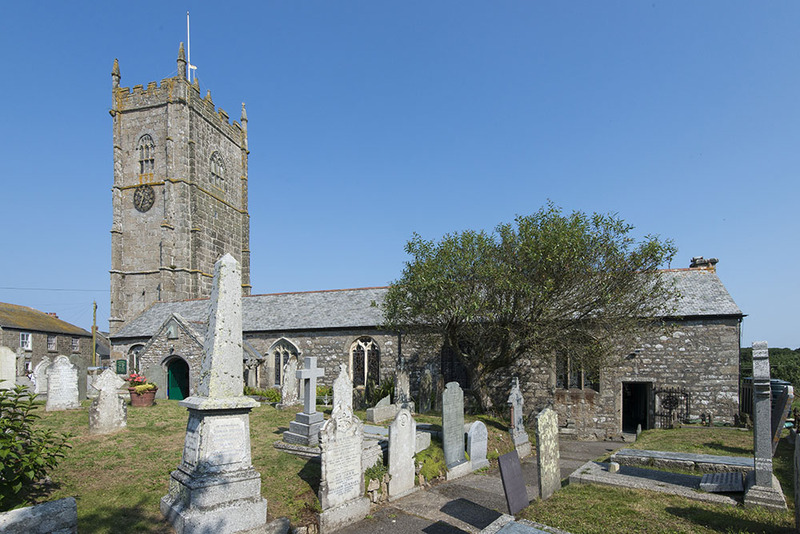 Whichever Paul is concerned, this church was an important early site with a c.1000 churchyard cross or crosses; the shaft being recycled in the north wall of the church. Most of the current building was reconstructed around 1600 (wills of 1604 and 1608 indicate work was being completed then) after the considerable damage to the church by the Spanish attack in 1595. Traces of the earlier church have been found under the floor. 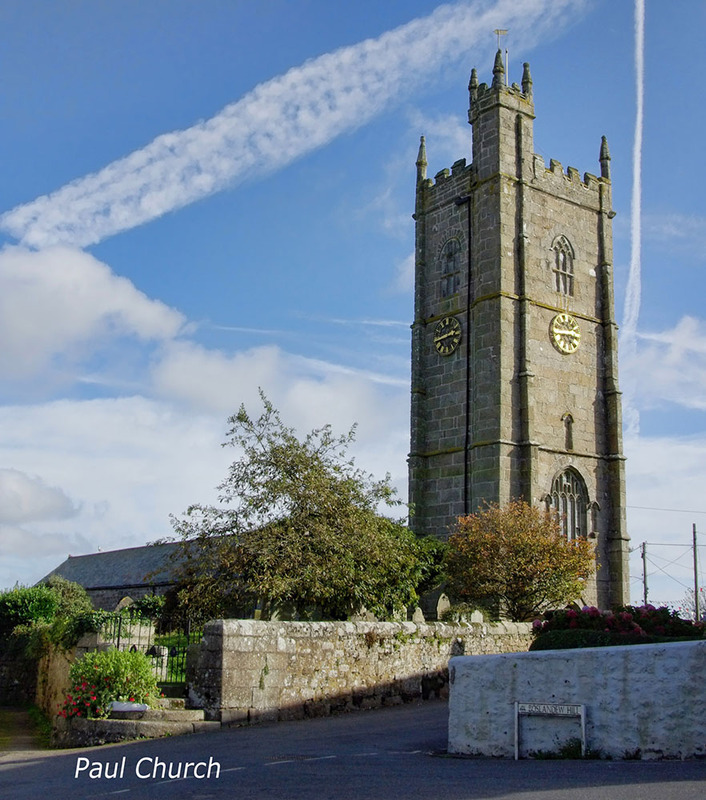 1 A fine tower constructed early in 15th century, containing 6 bells. With the beacon turret it measures 109 feet, and matches the length of the main, north and south aisles in the church. Although gutted by fire in the Spanish Raid, the tower structure survived, though brand new bells were destroyed then, and new ones had to be provided in 1608. 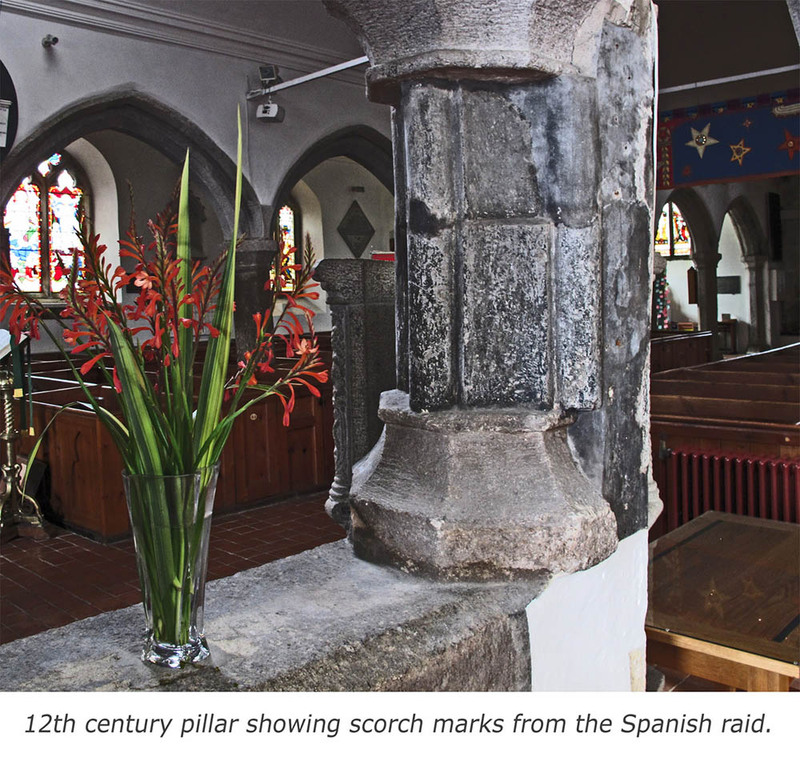 2 Inside the church in the north aisle can be seen ‘scorched’ stone pillars, of Cornish standard design with four attached shafts and hollow chamfers between, dating from the early to mid 15thcentury which also survived the Spanish raid. Cheaper octagonal granite replacement piers were all that the parish could afford in the early 1600s. 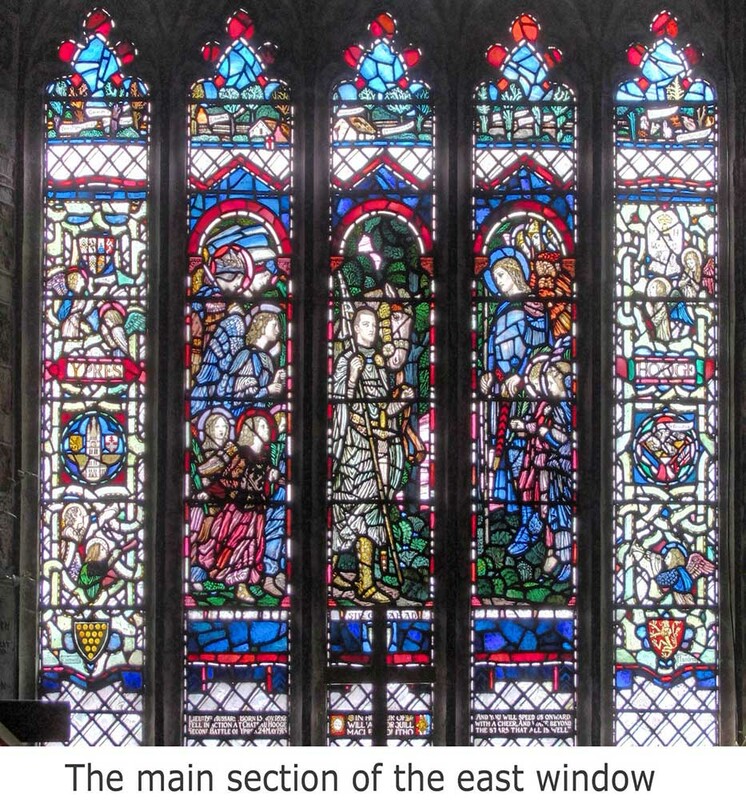 3 The fine and rare Arts and Crafts style WW1 memorial East window was erected in memory of William Torquill MacLeod Bolitho depicted as Sir Galahad. He fell in action at Chateau Hooge during the second battle of Ypres in May 1915. Two other family members lost in Second World War are commemorated on a plaque next to the window, together with men from the Paul area who also died. Two of the contenders for the dedication of the church can be seen in windows in the church. Paulinus of York in the north aisle and Paul Aurelian near the Priest’s door. 4 The memorial to the Solomon Browne at the East end of the north aisle, is dedicated to the crew of the lifeboat lost in December 1981 attempting to rescue the crew of the Union Star floundering off the cliffs near Tater Du. 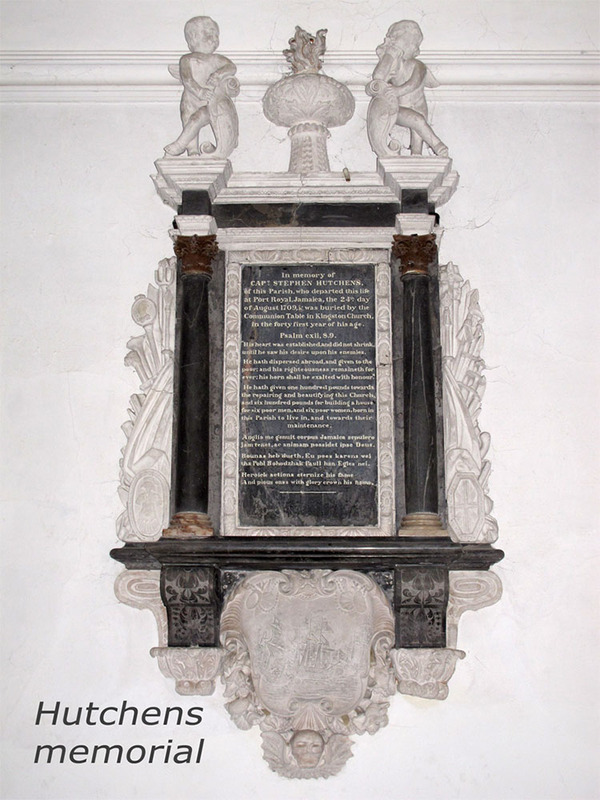 5 In the south aisle, the memorial to Captain Stephen Hutchens in handsome carved white marble, records his life and bold deeds and is notable for an inscription on it in the Cornish language. 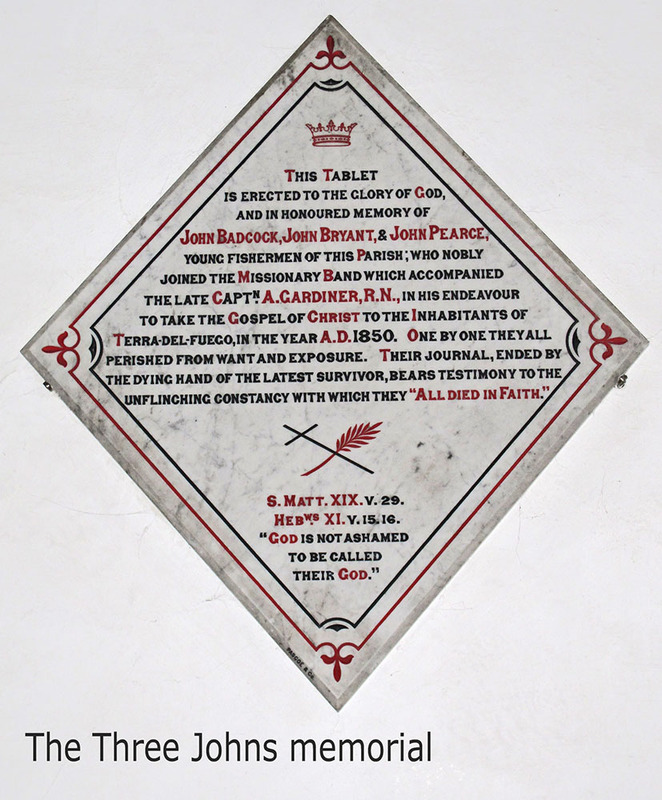 He died in 1709 after winning an encounter with two French ships. He left a huge fortune and endowed £600 for the building of a house and maintenance for 6 poor men and 6 poor women of the Parish. The Hutchens Charity still runs Hutchens House which stands by the West gate of the Churchyard. 6 The monument to the Three Johns, also in the south aisle, recounts the tragic loss of John Badcock, John Bryant and John Pearce who were members of a Missionary Band to Tierra del Fuego in 1853. The whole party perished from want and exposure. 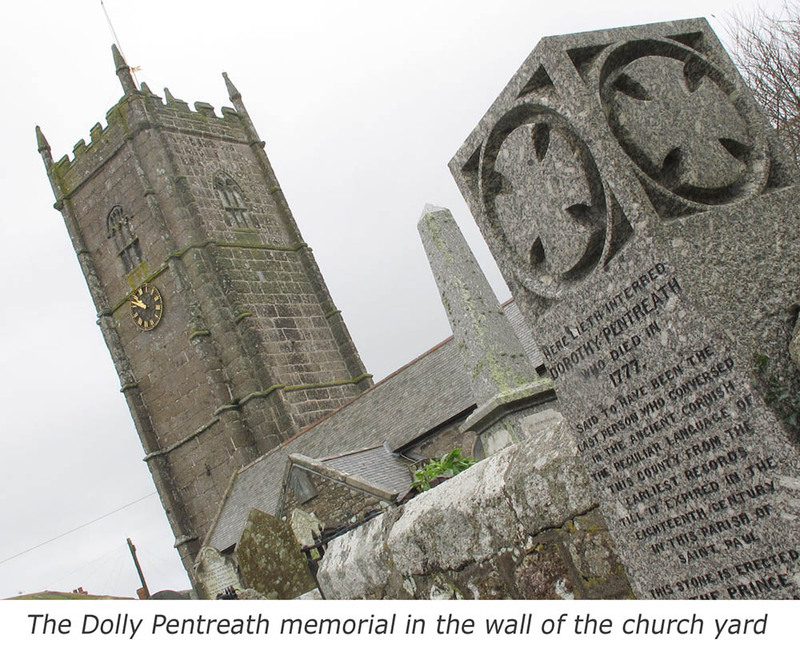 7 Outside the church next to the SE gate a memorial is set into the wall to Dolly Pentreath, the most famous among the last speakers of Cornish, though there is some dispute about her being the very last. A comprehensive and detailed guide ‘The history of the church in Paul Parish’ by G.M.Trelease. Published in 2006. ISBN 09554040 2 is still available from the PCC of Paul. See also Joanna Mattingly, Cornwall and the Coast: Mousehole and Newlyn (Victoria County History of Cornwall and Phillimore, 2009).